Since we can’t have a BYOB Party without the Mahabharata, let’s have a look at what Anshuman Mishra, founder of Mercadeo Education Tech, was reading. 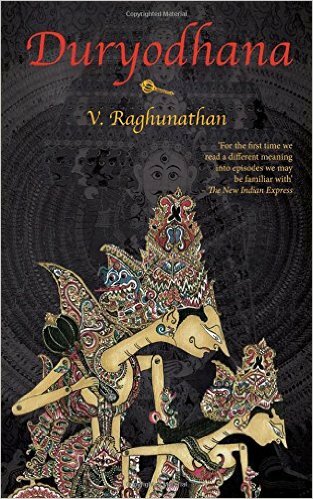 This book has been featured here before Devadutt Pattanaik’s Jaya: An illustrated retelling of the Mahabharata . Anshuman finds the current mythical spurt either too Amishesque or way too Sankritized. The book begins in the final throes of the Mahabharata. In the epics, we have two heavens, one is Swarga, the abode of the Gods, and the other Vaikuntha, the abode of God. One of the protagonists of the epic, the eldest Pandava, Yudhishtar can not understand why it is that he has not been sent to heaven at all. Anshuman finds Pattanaik’s exploration of the many existential questions that arise in the Mahabharata very lucid and rational. Aditya Sengupta, an avid reader of the various interpretations of the Mahabharata, begs to differ. He believes that Pattanaik makes things a little too simplistic and that the Mahabharata is devoid of any such judgement. When Yudhishtir asks this question, he throws the dice to answer what dharma is. There is no answer. What is justice? No answer, either. There is far too much grey, and no amount of thinking can take a prince out of his hellish destiny if he must endure it. Piya Bose, HR Professional, has been reading every Indian author she can find and she feels that there are not too many good ones. There seem to be quite a few in the market, but not many have caught her fancy. Either the stories do not suit her taste or she finds the editorial errors too glaring to ignore. One writer she particularly has taken a fancy to is Anjum Hasan. Her book Difficult Pleasures is a book of well-written riveting short stories that all deal with the paradox that pleasure is not an easy thing to find . Aditya Sengupta read a completely different sort of book that describes Hindustani music. The Music Room by Namita Devidayal is the story of her music teacher Dhondutai, who was the disciple of renown teachers, Alladiya Khan and Kesarbai Kerkar. Devidayal ended up writing but music never left her and she dissects the various aspects of the Jaipur Gharaana. For a music lover who wants to read lucid prose about Indian classical music, this is the best book to start. That was a lovely spread of books. What have you been reading? This time we chose a different venue for the BYOB Party. We co-hosted this quaint book party with Reading Hour and it took as an hour to get to the venue- a quiet house filled with the warmth of book loving souls Vaishali and Arun Khandekar. Nilesh Trivedi has a penchant for challenging books in a previous BYOB Party. He found Indian Philosophy by S.Radhakrishnan quite riveting. Though the book is written in English for western readers, it is a starting point for a seeker of knowledge when it comes to such an inaccessible subject like philosophy. 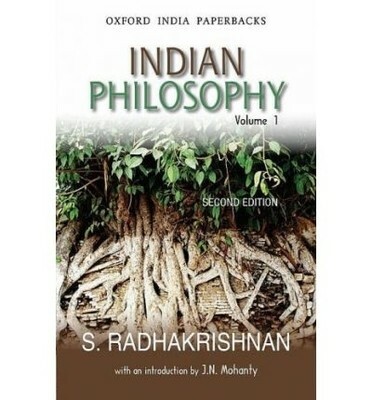 While Bertrand Russell and Will Durant have succeeded in making the polarities of Western philosophies far more accessible, S. Radhakrishnan has veered away from the mystical and provided a serious analysis of Indian philosophy, of which there are several parts. The German philosopher Schopenhauer’s dictum of never reading commentaries was a strong motivator for Nilesh to chose this book. Summaries may seem appalling to a fiction lover like Vaishali (how can you read a summary of a fiction?) but reading summaries is one way of tackling the mountainous number of non-fiction books out there. As is the case with book parties, one reader is magically connected to the next by an invisible thread called taste. Arun Khandekar spoke at great length about his experiences reading the philosophical works of Swami Vivekanada and Ramakrishna Paramahmsa. “It is strange how Vivekananda uttered such difficult truths in his time. He believed in the agency of the mind and finding things out on your own.” Arun believes that this freedom of thought and expression seems to be a thing of the past. 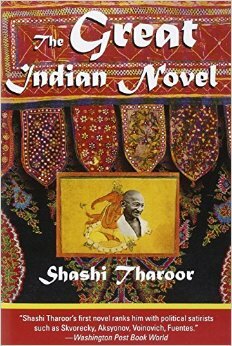 Arun told us how Tharoor eloquently clothed epic characters in contemporary light, reflecting the Indian public’s fascination with this story. Abhaya confessed to his addiction of the Mahabharata series that he watched on YouTube several times over and Arun spoke of the pre-internet, pre-TV days when he relied heavily on Amar Chitra Katha to feed his Mahabharata compulsions. “In hindsight, in post independence India, it was stories like Harishchandra that got more leeway and now we see a renewed interest in the epics,” Arun mused. Even if you did not know the nitty-gritty of the epic, the rivalry between the righteous Pandavas and the tainted Kauravas have lodged themselves in the Indian psyche. “There is a Shakuni in every household,” Veena Prasad, a writer, summed it up nicely. The defining line from the book Veena cites is when Duryodhana says, “I had evil thoughts, and so have they”. The story of the Mahabharata never runs dry, does it? More coming up…in 2,3,4, and 5….